Grafton Jhung passed away from complications related to Alzheimers on January 25th, 2019 at the Sunrise Orchard home in Greenwood Village, CO where he lived since May of 2017. Grafton was born on September 30, 1935, in Honolulu, then a Territory of Hawaii, the second of three sons of Caroline Rhym and Walter Jhung. 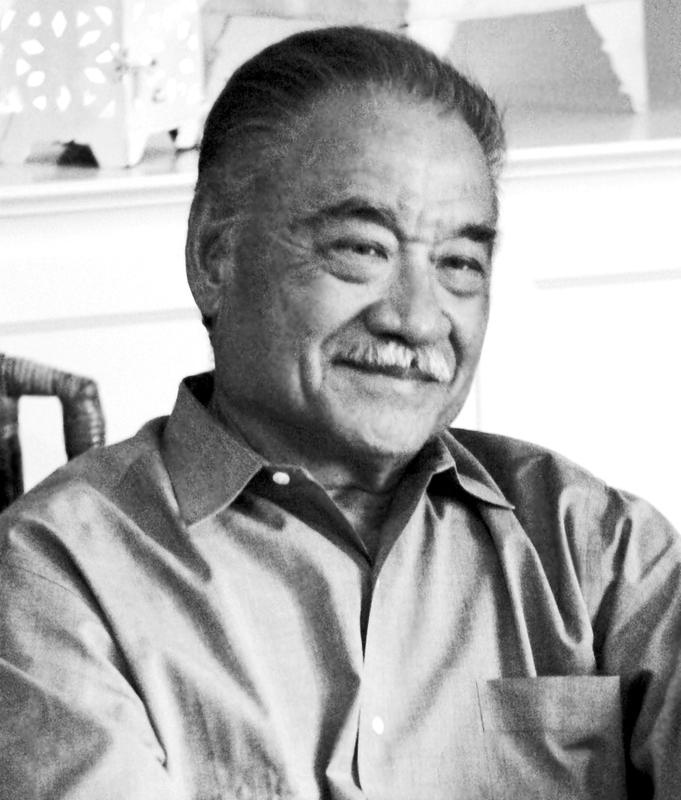 Grafton was the first Korean-American to graduate from the US Military Academy at West Point in 1960. He was appointed by Elizabeth Farrington, the last Delegate to Congress from the Territory of Hawaii. Grafton excelled in academics, cadet military life, athletics and extra-curricular activities. He was on the West Point Dean's List each year and was a Distinguished Cadet, which enabled him to wear "stars" first class year. Grafton was a cadet captain and company commander, was on the Public Relations Council, the Class Ring Design Committee, and the Debate Council and Forum. In 1960, Grafton graduated as a 2nd Lieutenant in the U.S. Army, after completing Basic Artillery Officers School at Fort Sill, OK, and Airborne School at Fort Benning, GA, before reporting to the First Battalion of the 25th Infantry Division at Schofield Barracks, Hawaii. Grafton volunteered to go to Laos to advise Royal Laotian Artillery units in October of 1961. His tour of duty in Laos was the highlight of his brief military career. Grafton returned to the 8th Artillery after his six month TDY tour in Laos. He resigned from active duty in 1963 after completing his required service. In 1963 Grafton married Carolyn McKinney in Honolulu. In 1965, Grafton, his wife and daughter, Carole ("Momi"), left Honolulu for Boston, MA where he enrolled in the Harvard University Graduate School of Business. He graduated in 1967 with an MBA and moved with his family to Westchester County, NY. His daughter, Catherine, was born there, and Grafton began his career as a securities analyst in New York City. In 1969, he moved his family to San Francisco to join American Express Investment Management Company as a portfolio manager. He later joined Amfac, Inc. as a financial officer, and then went on to form a small firm that helped corporate boards identify and choose investment managers. In 1984, Grafton married Carolyn Sue Ford and moved to Denver to join Denver Investment Advisors as a portfolio manager and partner. Grafton's financial success at DIA provided him with the resources to help needy graduates from Theodore Roosevelt High School, from which he and his brothers, Bryson and Finis, each graduated. In 1992, he founded a scholarship program, in honor of his mother, Caroline, with a four-year college scholarship stipend for Roosevelt graduates. Grafton incorporated the Jhung Family Foundation in 1995 to provide permanent financing for the scholarship program. Because he believed the Jhung Family Scholarship program was the most rewarding endeavor of his life, he funded it in perpetuity. The program is now administered by the Hawaii Community Foundation. Grafton was an active supporter of gift campaigns of his West Point Class of 1960 and personally helped fund the Academy's program to encourage minority student attendance at West Point. He also shared his investment expertise by serving as Vice Chair of the Association of Graduates West Point Investment Committee for more than ten years. Grafton and Sue traveled extensively, but they were always happy to return to their home and friends in Colorado and their winter home in Wailea, Maui. Grafton loved a favorite Hawaiian saying "local boy makes good." Grafton is survived by wife Carolyn Sue (Ford); daughters Carole Leimomi Jhung (Keith Morgan) of Mound, MN and Catherine Leinani Jhung (Sean Hickey) of Brooklyn, NY; grandsons Alexander Grafton Nikas, Ryan Scott Nikas and Shannon Rhym Hickey; step-grandsons Evan Langer Morgan and Andrew Hayes Morgan; brother Finis Jhung; sister-in-law Vera Je Ami; niece Vera R. Kahiwa Jhung; nephews Bryson Rhym Jhung and Jason Akira Jhung; stepbrothers and a stepsister Douglas Ing, Sandra Peterson and Darrell Ing (Maryellen), and their children and grandchildren. In lieu of flowers, the family asks that donations be made to the Jhung Family Foundation at: Jhung Family Foundation Donation online. If you prefer to make a gift by check, you may mail it to: Hawai'i Community Foundation, 827 Fort Street Mall, Honolulu, HI 96813-4317. There will be a celebration of Grafton's life on Sunday, February 17th from 3 - 5 pm at Cherry Hills Country Club: 4125 S University Boulevard, Cherry Hills Village, Colorado.